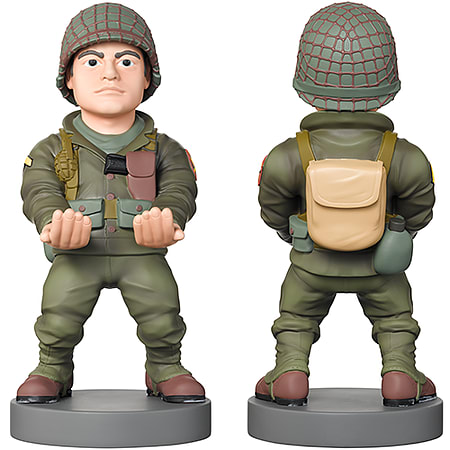 Merging official licensed collectable figures and practical charging docks, this Call of Duty WWII Cable Guy is inspired by the main character Ronald “Red” Daniels and the 16th Infantry Regiment in game . Standing 8” tall and coming with a 3m cable for charging your device it’s the perfect squad mate for any bedroom, office or lounge looking great on its own or when holding your controller or mobile device. With the cable supplied it’s the perfect way to stay ahead of the game.